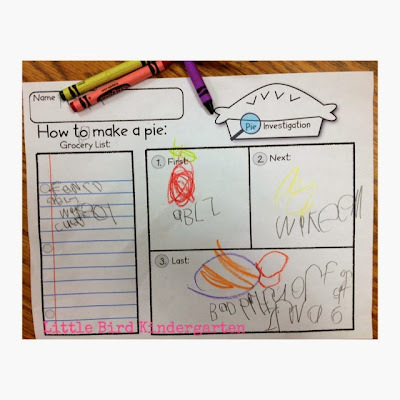 A little reminder of why I love teaching 5 year olds…..
Today we were illustrating sentences and I wrote this sentence on the white board: "The pig is hot." 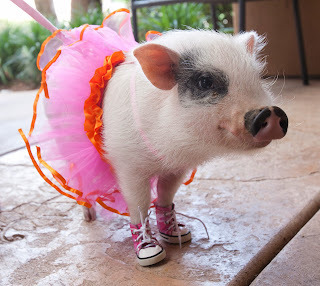 I proceeded to illustrate it with a pig sweating bullets under a bright sun. 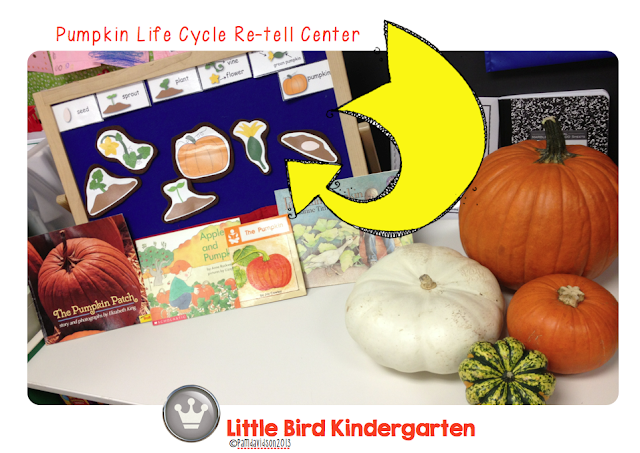 Wow… seems like it gets earlier every year, but we are already teaching teen numbers! (not that they will all get it yet!!) 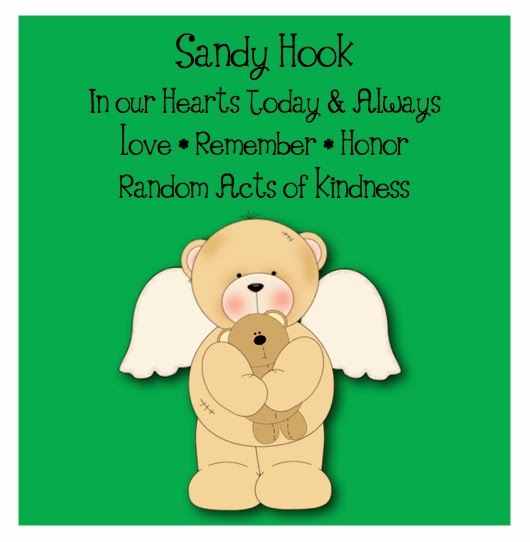 I, like most of you I'm sure, talk about the teen numbers naturally when we do the calendar, how many days in school etc. 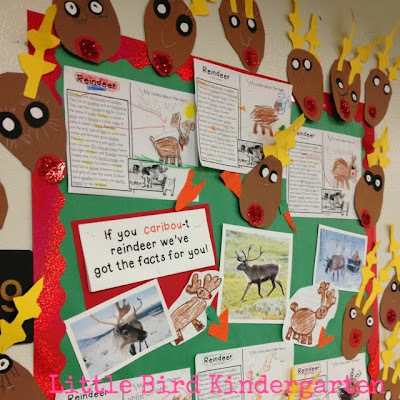 The little high flyers are naturally grabbing on and curious, so they are really enjoying the "new" numbers being added to our number of the day routine. 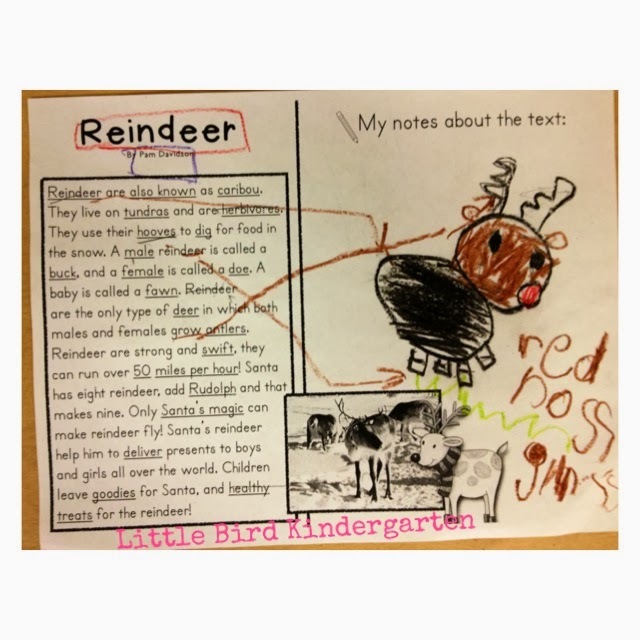 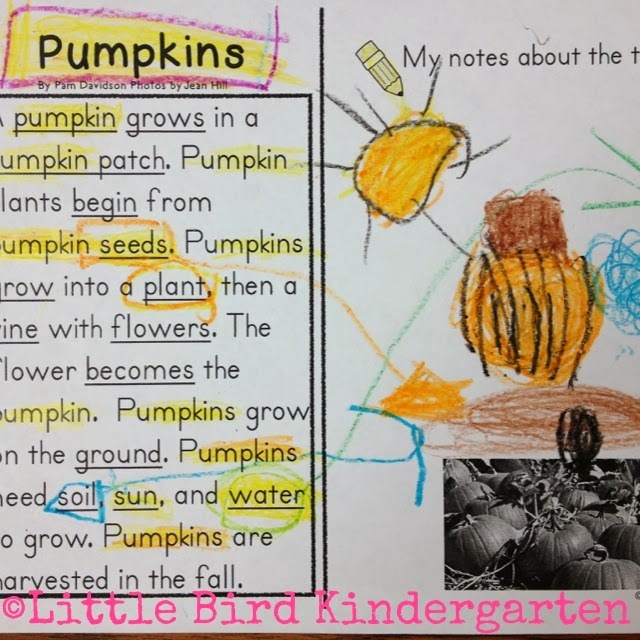 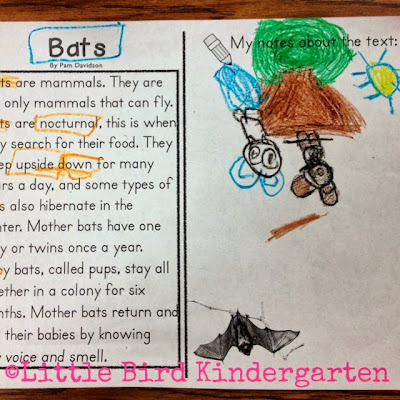 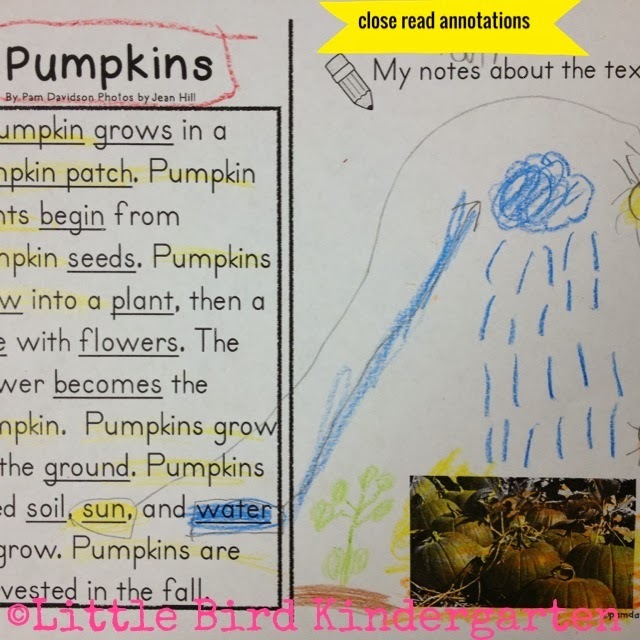 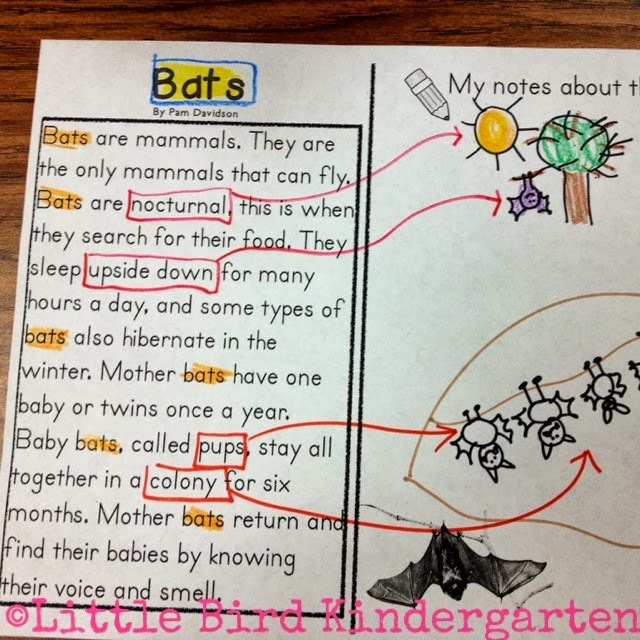 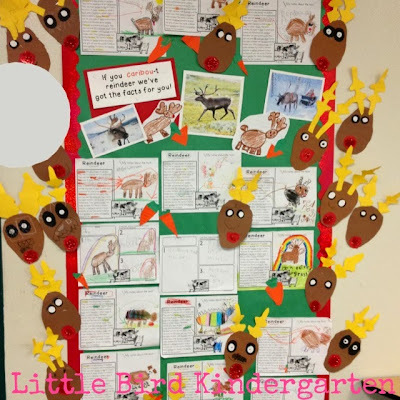 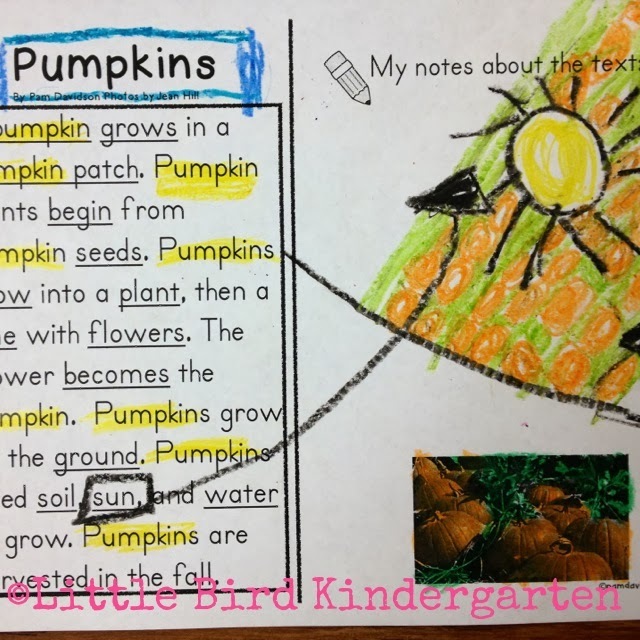 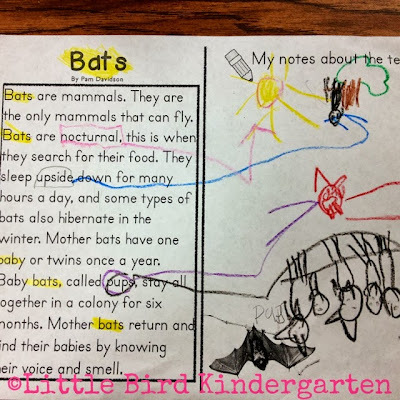 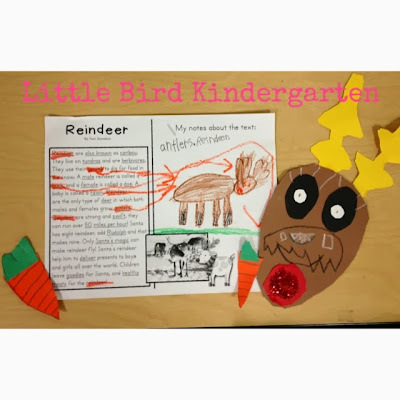 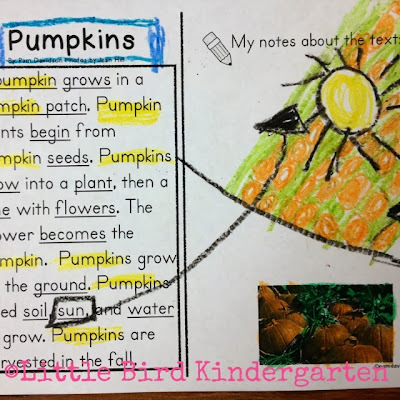 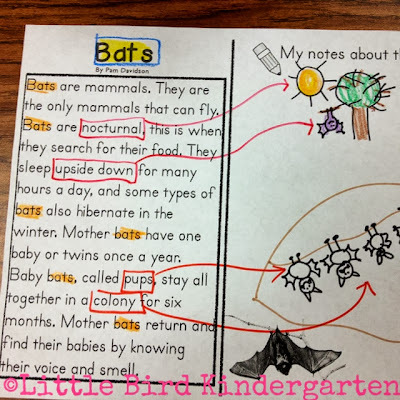 When I created the Number Sense Anchor Charts for Little Learners (0-10) I wanted a resource that was very crisp, clean and easy to read, so that's exactly what I created. 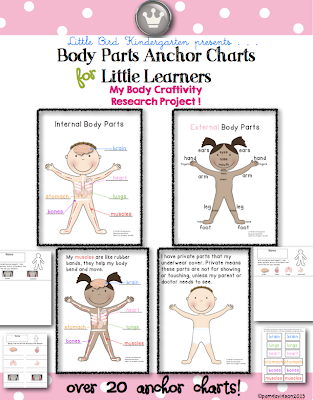 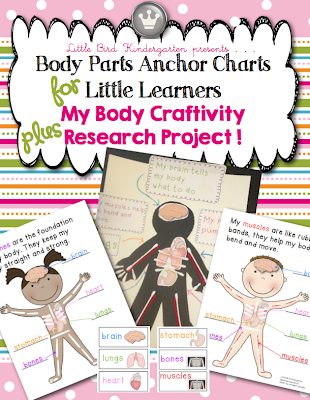 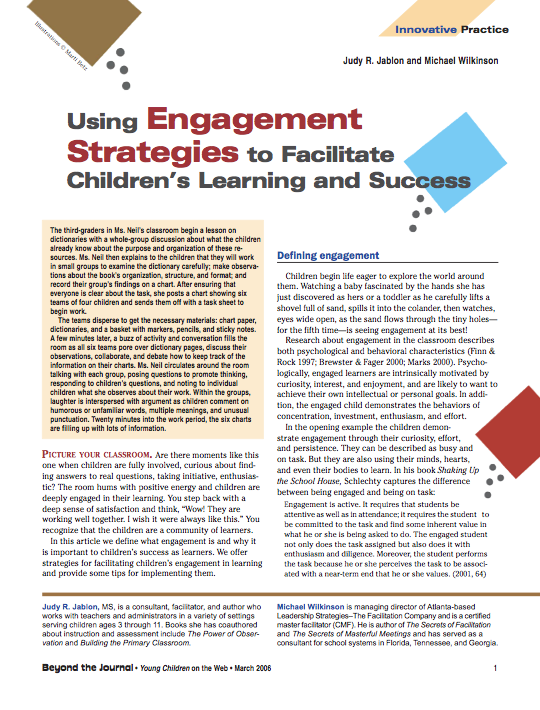 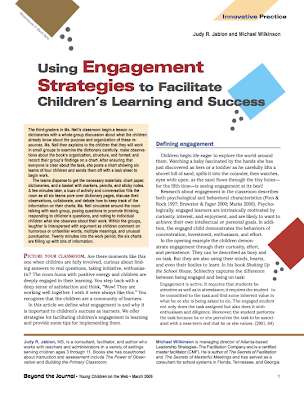 I recently published Number Sense Anchor Charts for Little Learners (11-20). 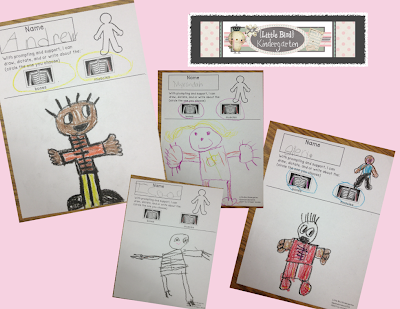 These were also created with the "clean and crisp" in mind, but I also wanted to add the component of beginning place value. 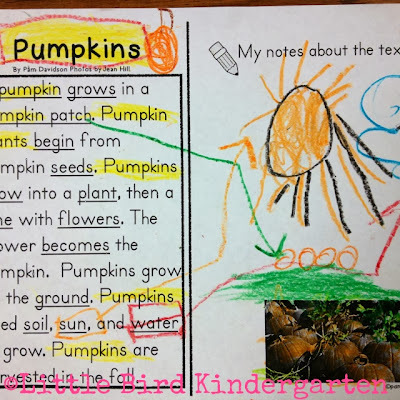 Every number shows multiple representations of 10 and …. or 10 + …. 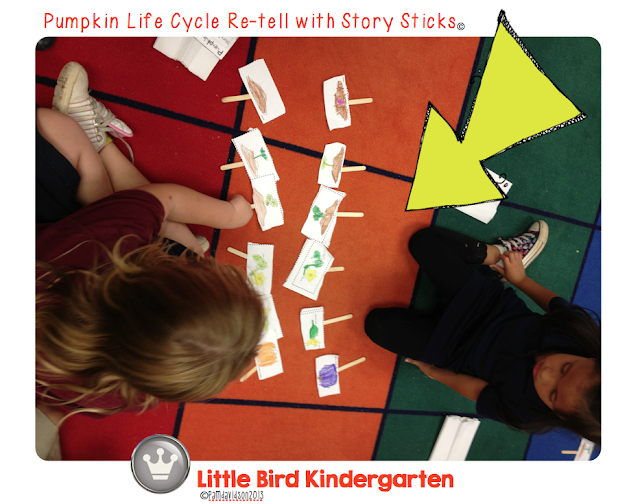 (ten frame, dice, tallies, hands, linking cubes, kids) as well as the numeral itself with directional arrows for writing, and the number name. 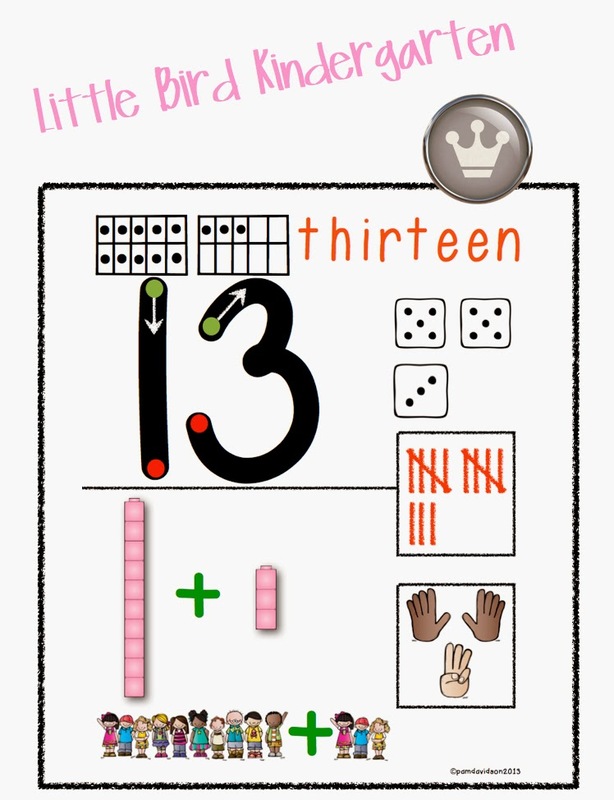 Number sense is such a challenge! 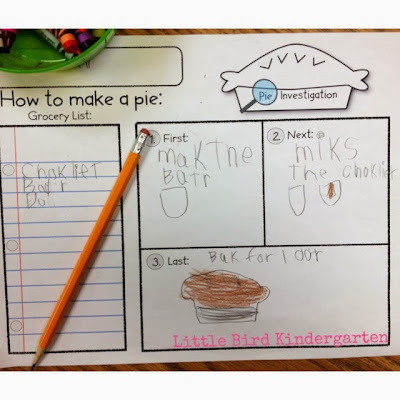 For some kids it is so natural, and for many it requires a very deliberate approach to help them "see" the math, not just memorize the symbol. 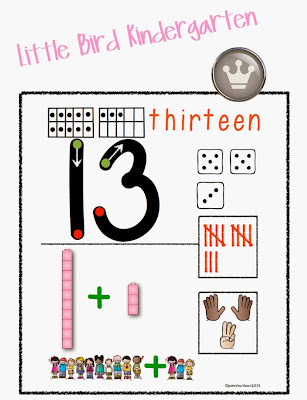 I really try to teach my kids (starting with the calendar) to think of teen numbers as 10 + another number. 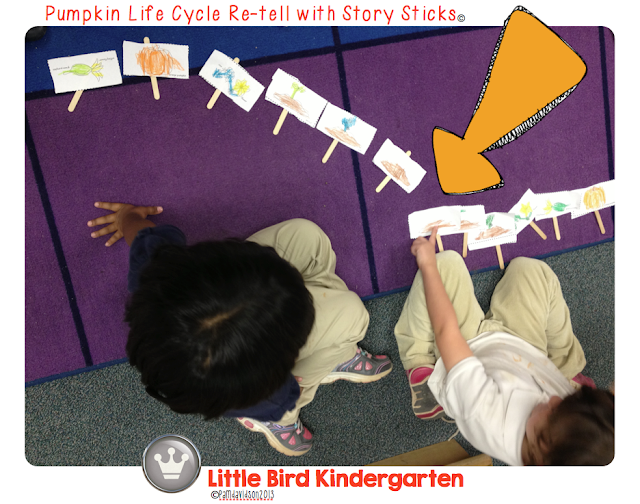 When we are counting objects we always make a group of ten first, and then a group of whatever is left. 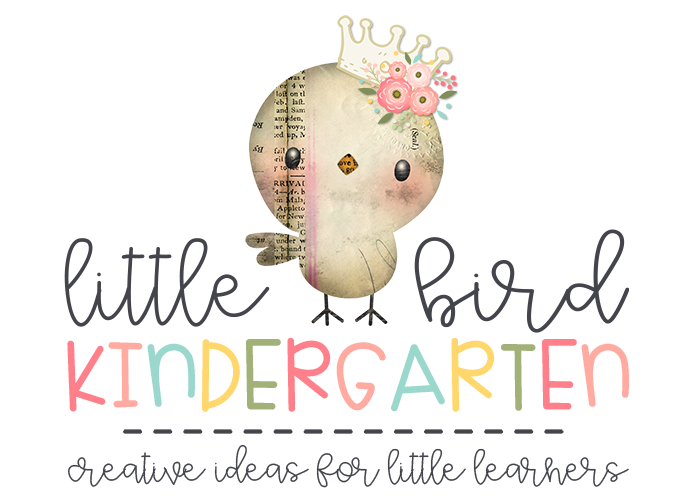 I discovered "Harry Kindergarten Music" songs that are great for supporting instruction too! Here are a couple of his video songs that my kids are loving! 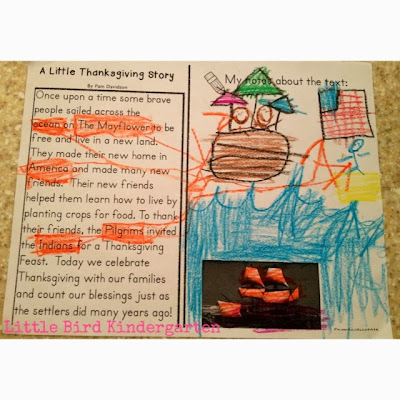 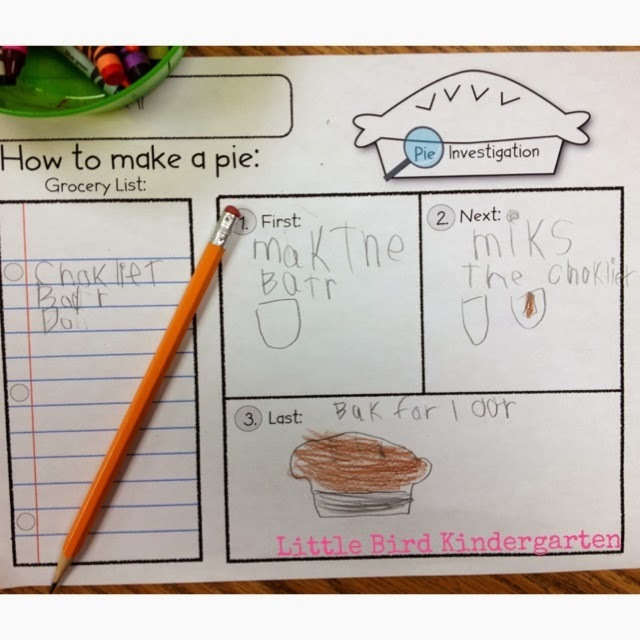 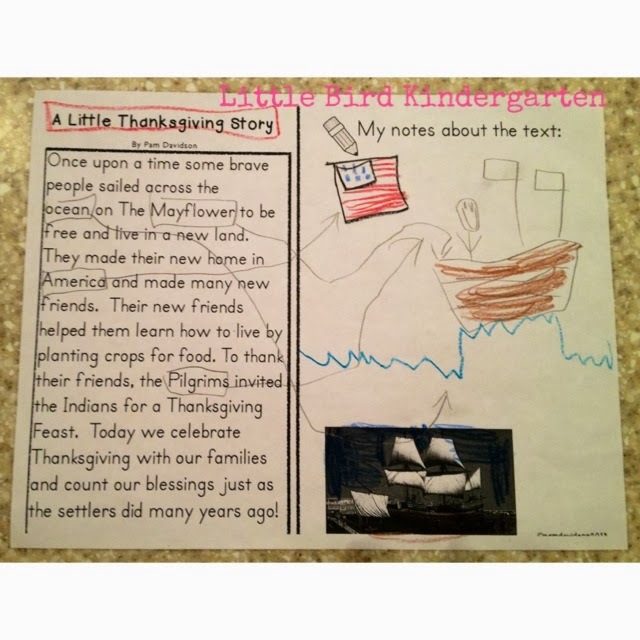 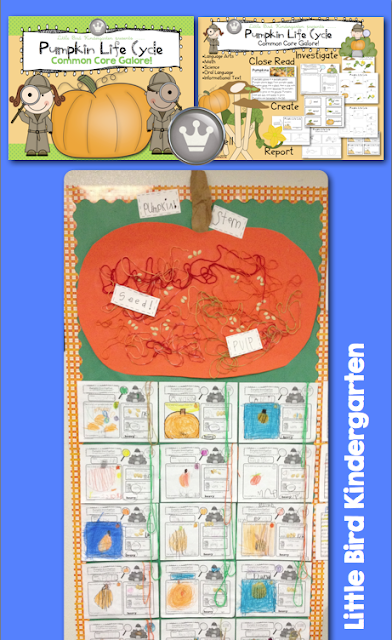 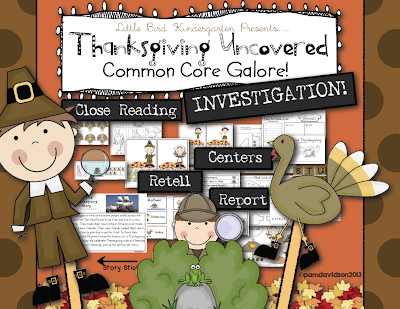 I had so much fun creating my Thanksgiving Uncovered resource! It is a culmination of MANY years of doing all of these different activities! 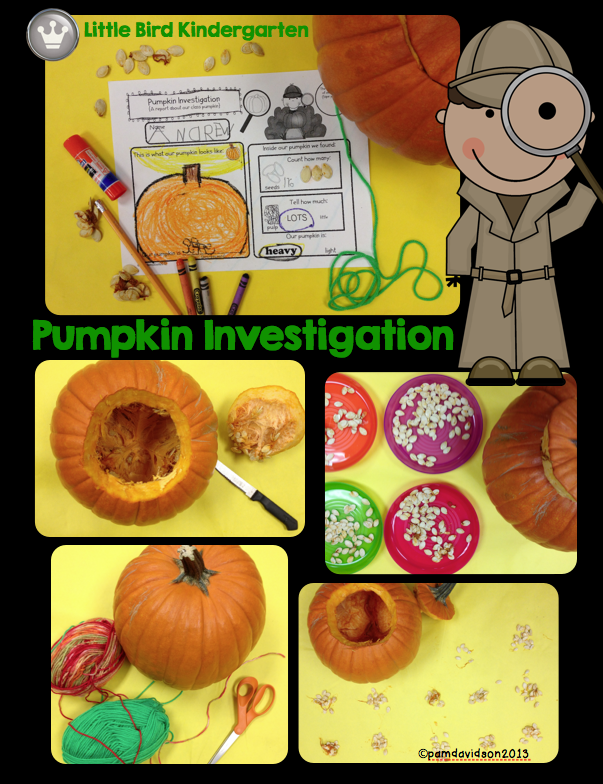 The kids have so much fun with it and it is such a fantastic way to integrate so many skills! 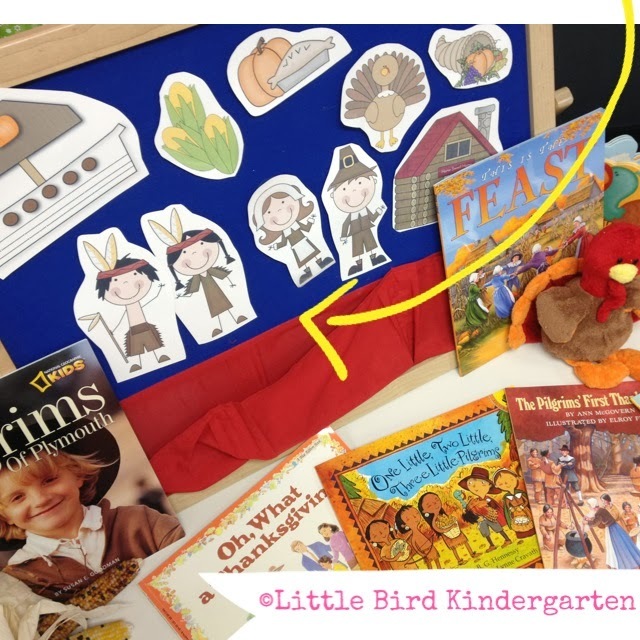 I love giving kids the opportunity to use their blooming oral language skills to retell the story of Thanksgiving at the felt center (and with their story sticks to take home and practice on family!). 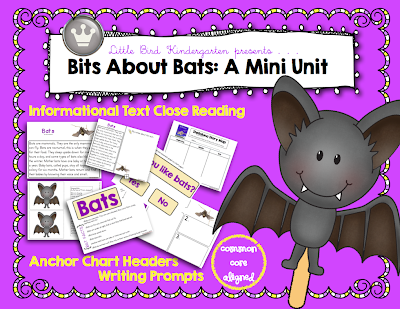 I recently updated the unit to include a Close Reading activity with all of the response pages included! Here's my storytelling station all set up and ready to go, more pictures to come! 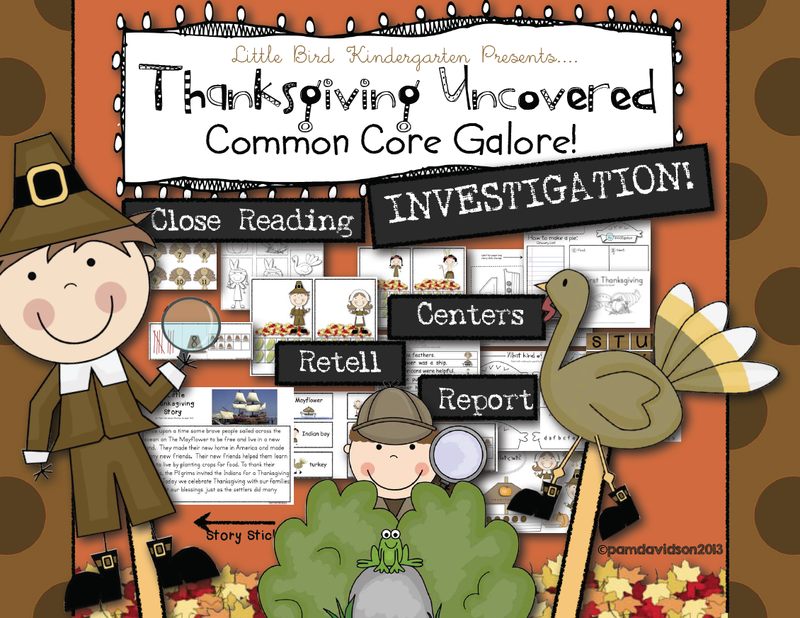 Thanksgiving Uncovered! 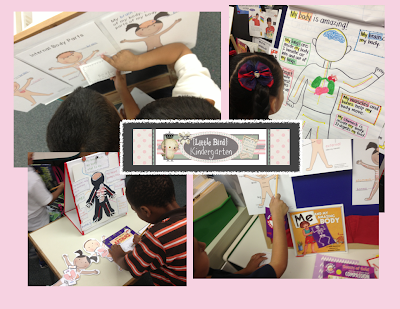 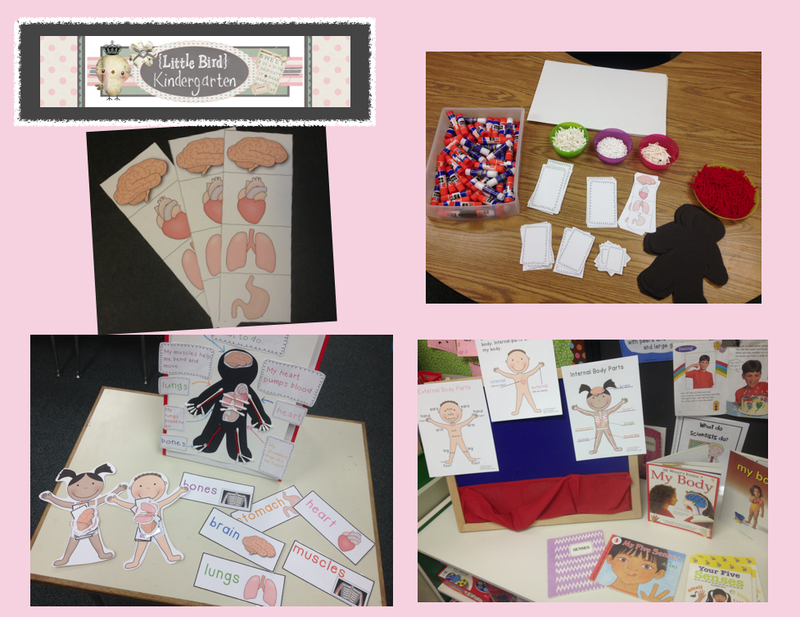 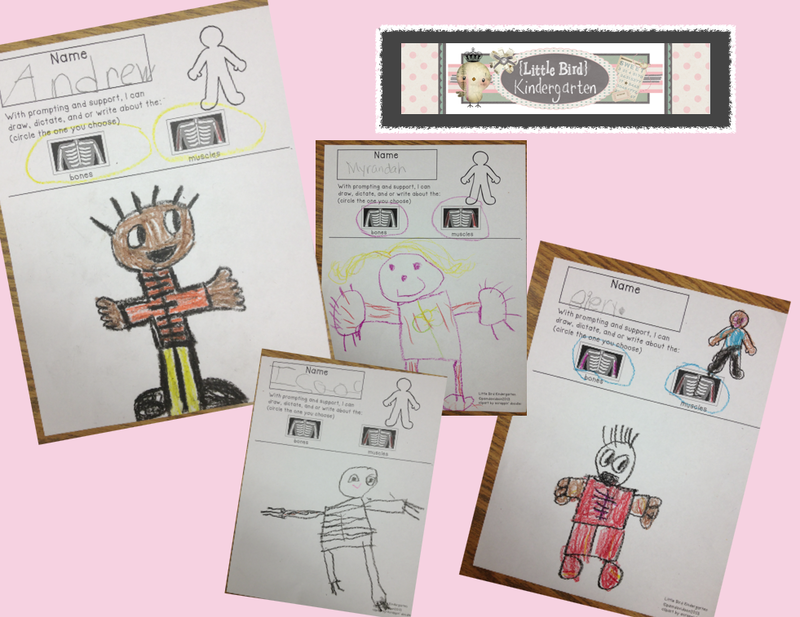 Common Core Activities and Centers Galore!